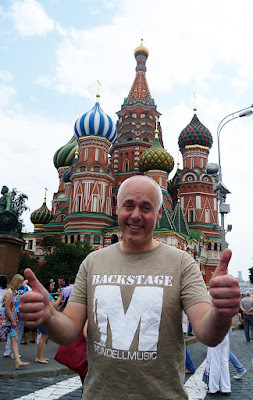 BLOG - BETWEEN A ROCK & A HARD PLACE: Mundell Music in Red Square! Klaus continues with his World Tour! You can see that Mundell Music T- Shirts get everywhere! So when you are next away on Holiday dont forget to pack a MM T-Shirt and send us your Photo!